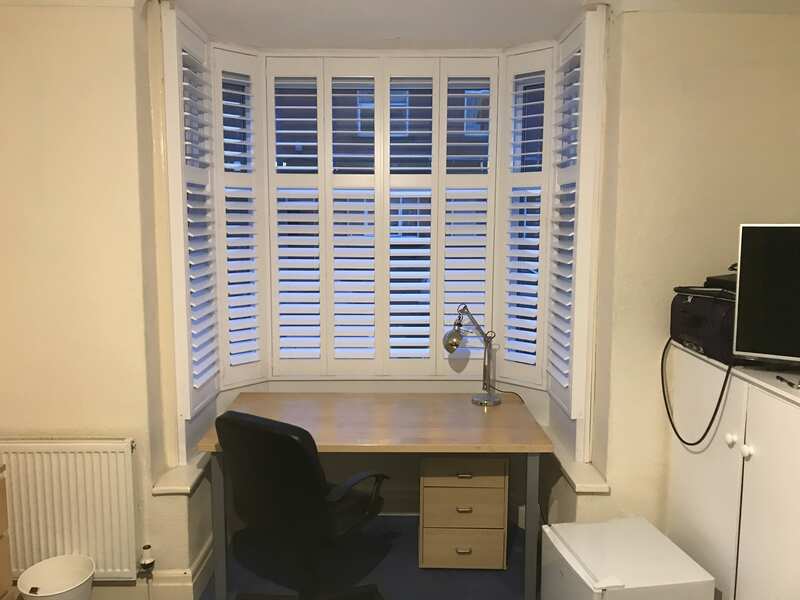 Your shutters will be measured and installed by City and Guilds qualified joiners who have the expertise to fit your shutters with the utmost care. 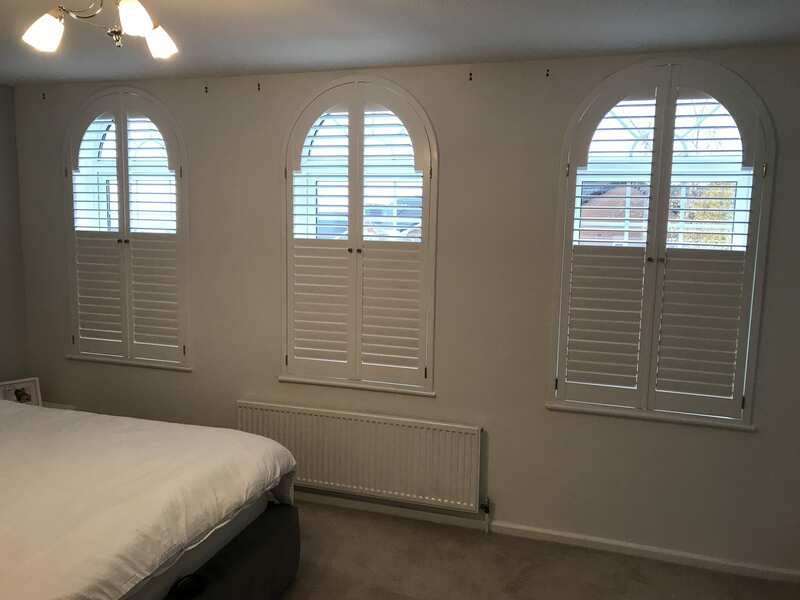 We have been successfully supplying shutters to Leeds, Wakefield, Dewsbury and Morley and their surrounding areas for many years, building up a reputation as a trusted, superior and friendly business. 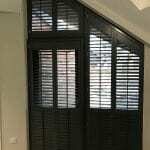 Our aim is customer satisfaction and we ensure the product we install will meet your unique needs. 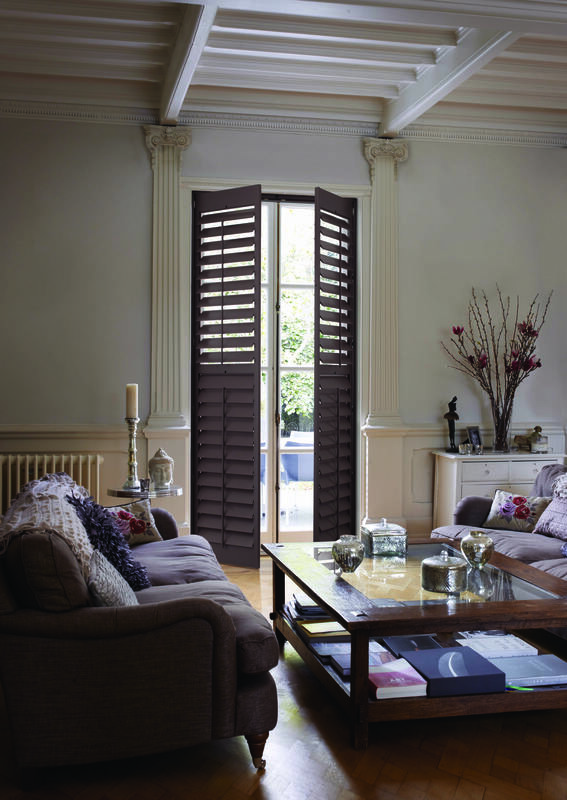 All of our wood comes from sustainable sources, making our shutters environmentally friendly too. 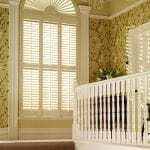 Originating in the American South due to the humid weather, Plantation Shutters are made of adjustable slats or louvres consisting of MDF, hard wood or plastic. 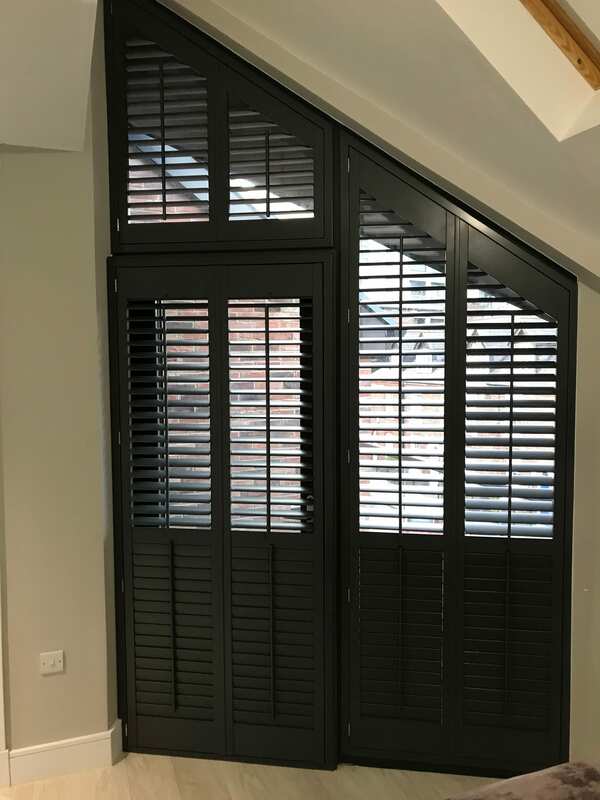 Though our weather may be cooler, these shutters have grown in popularity, providing both traditional and modern homes with a fashionable look. 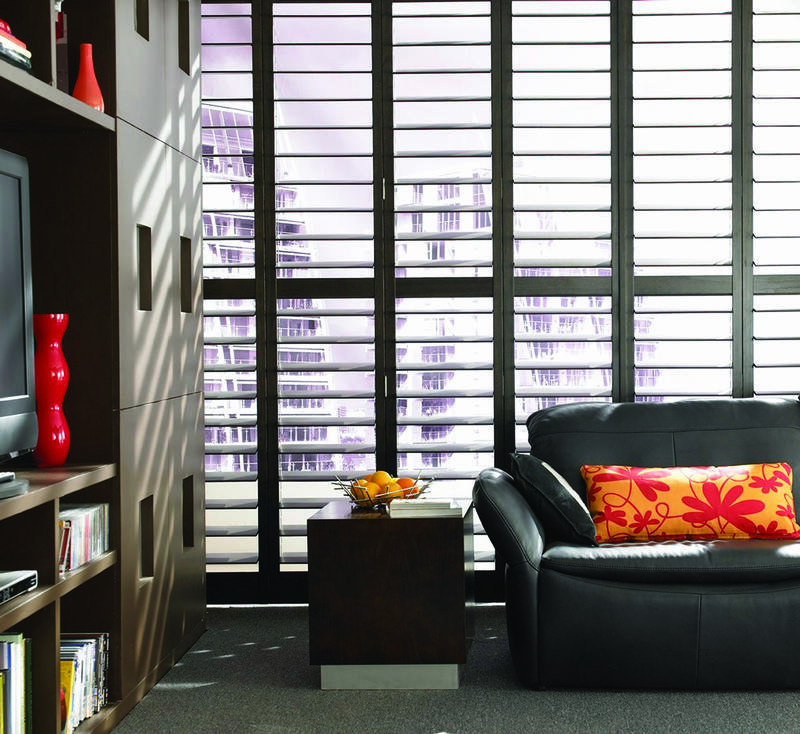 Custom-made for your window, no matter the shape or size. 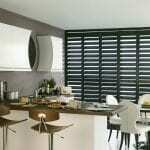 Available in various colours, finishes and styles. 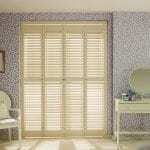 Provides an up-market aesthetic that refines the room. 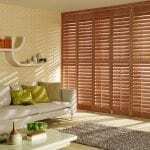 Insulates and ventilates your home when necessary and saves you money on heating and air conditioning. 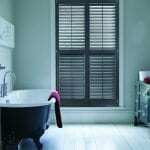 Great for sound, light and privacy control. 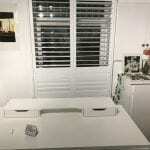 Easy to clean and maintain, as well as to use. Is weather-resistant, waterproof and therefore built to last. 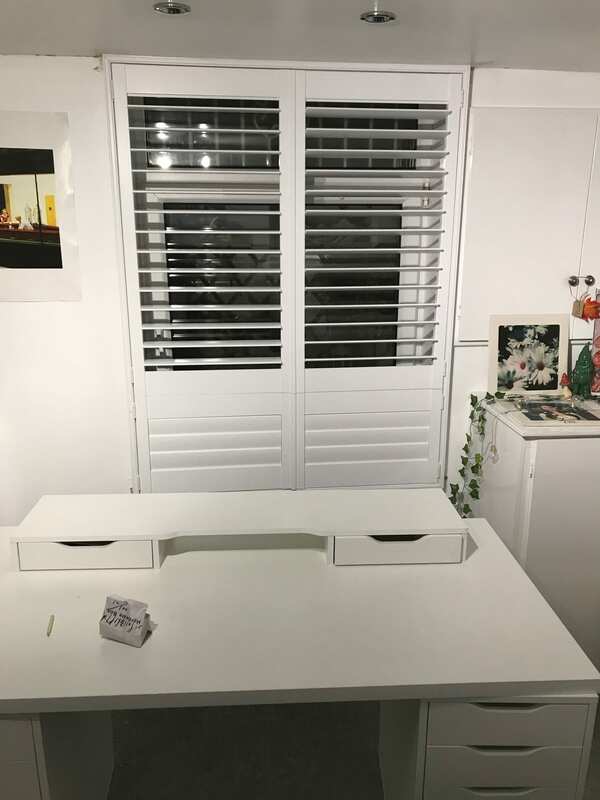 These stunning wooden shutters are usually fitted to the window’s or door’s frame for full light and privacy control and function using a tilt rod. 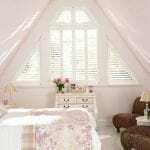 Even if your frame is arched or triangular, your shutter will fit perfectly. 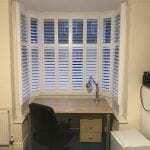 WHICH PLANTATION SHUTTERS DO WE OFFER? 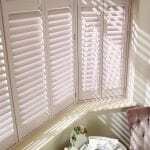 The always affordable and popular Classic is made from MDF coated with polymer making it strong, durable, smooth and gives it that elegant aesthetic. 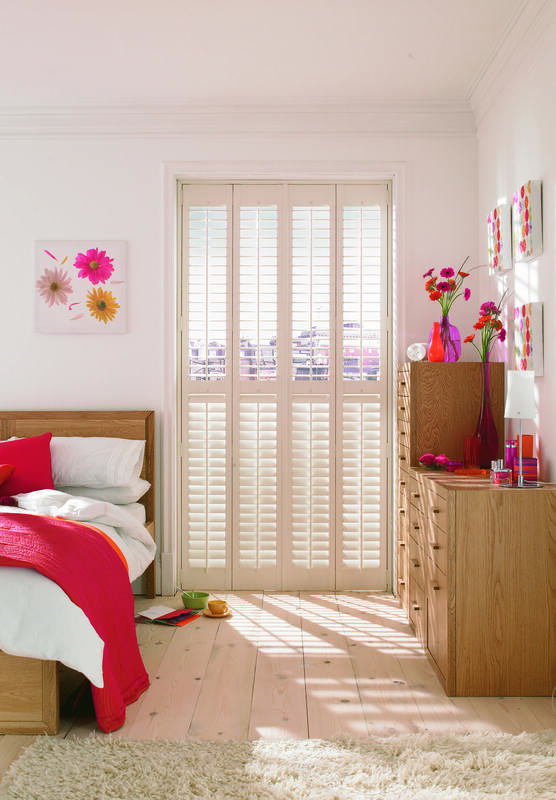 The Classic is available in five shades of white and is perfect for children’s bedrooms and patio doors to cater for potential knocks. 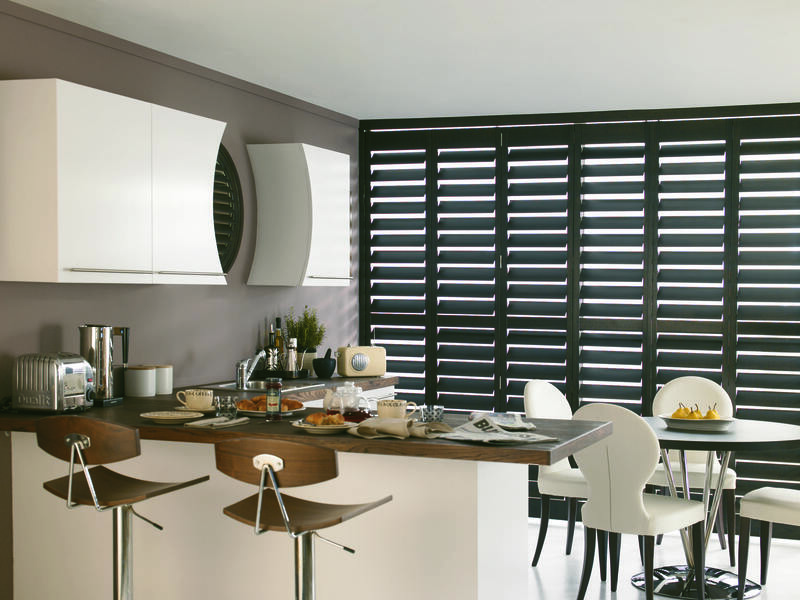 The multi-purpose Marchwood is made from hardwood panels with MDF frames that are easy to maintain, stylish and strong. 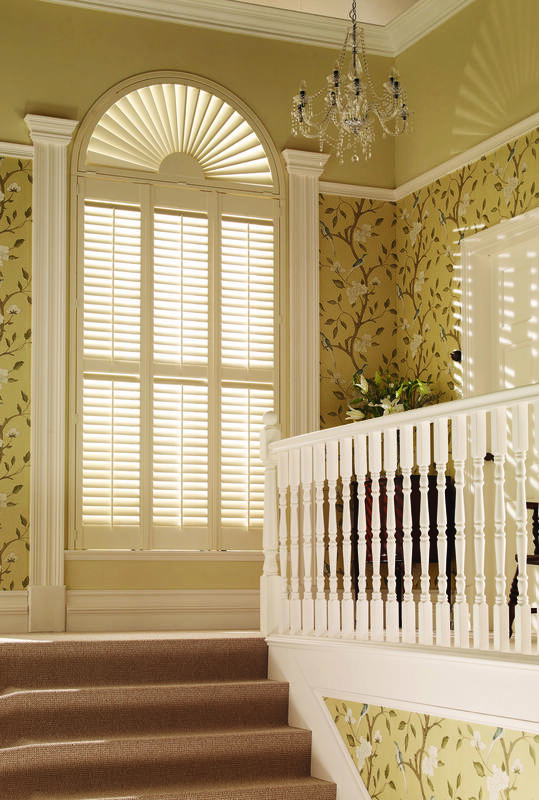 The Marchwood is available in 5 shades of white and works well in rooms and windows throughout the house. 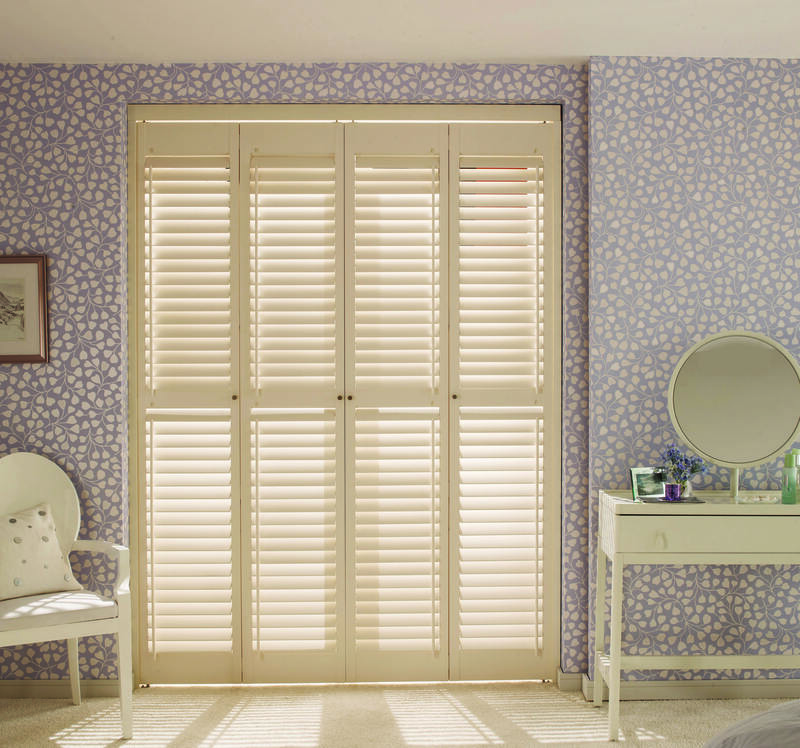 The customisable Grovewood is made from premium wood frames and panels and is available in 18 painted and 21 stained finishes. 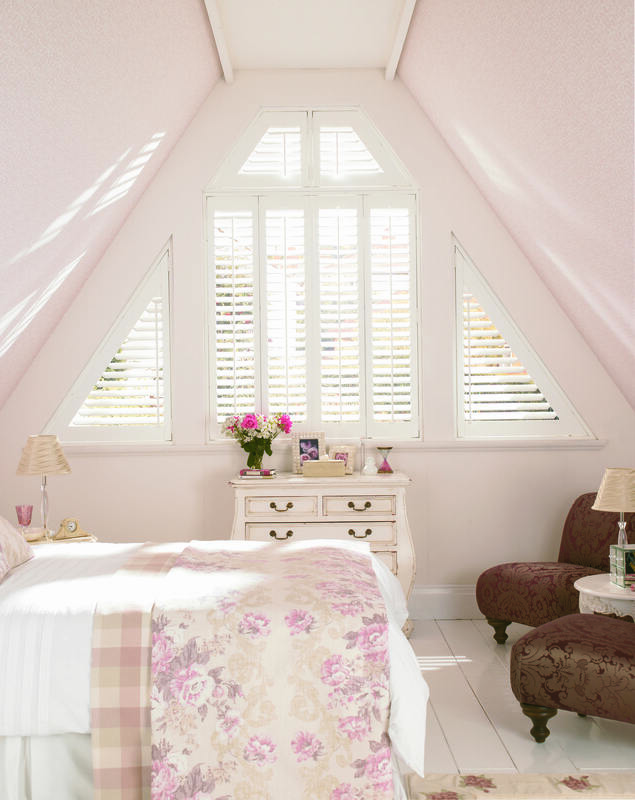 When stained, the wood keeps its marvellous texture and is especially great for shaped windows. 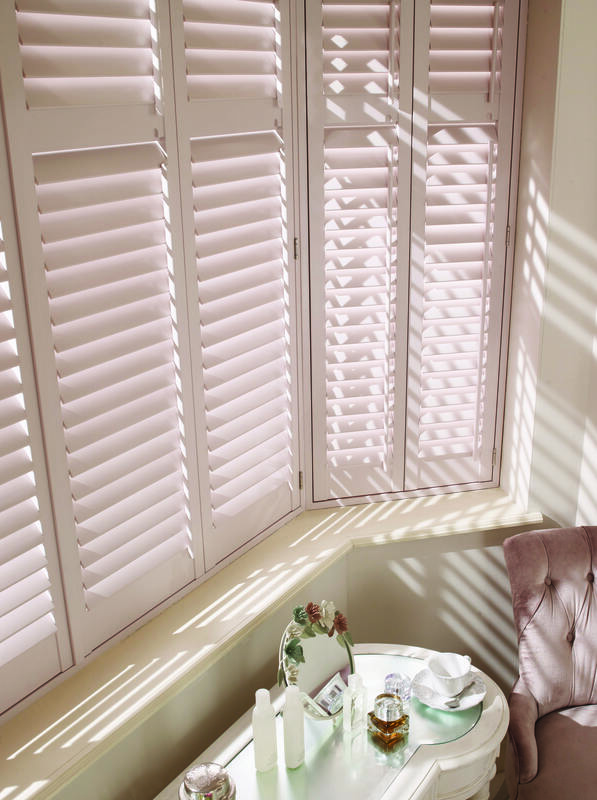 The fabulous Phoenix is made from bleached out hardwood that maintains its stand-out grain even when painted, adding natural charm to the room. It’s lightweight so is easy to use, yet can still withstand weather wonderfully. We stock many colours and finishes so you’re sure to find one that matches your unique sense of style. 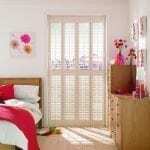 Great for living spaces and bedrooms. The sophisticated Cleveland is made from materials including ABS louvres and MDF panels and frames ensuring it is lightweight yet tough. 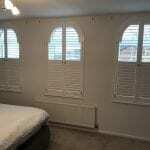 Available in 18 painted colours and works well in rooms such as the kitchen and bedroom. The waterproof Vienna is made from ABS and is as adaptable as it is resistant. 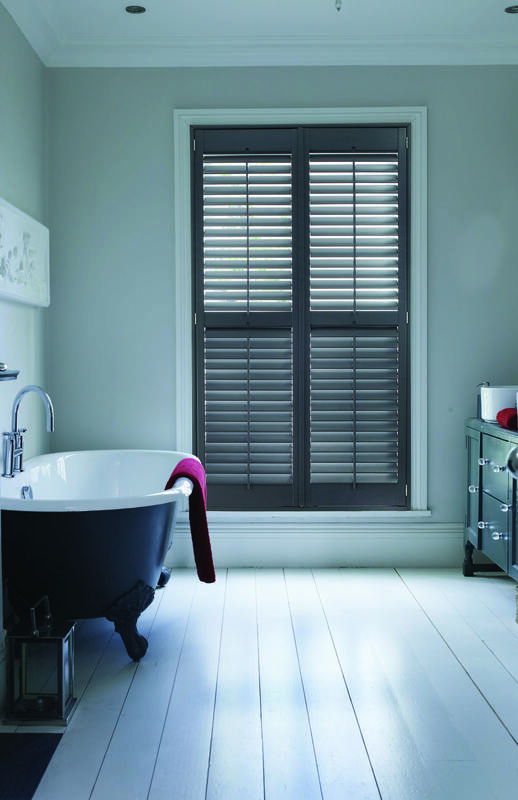 It works just as well in the bathroom as in the kitchen and is available in 6 stunning colours. 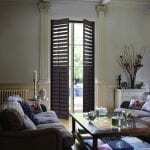 Get in touch today to find out more about our Plantation Shutters and to organize a home visit. 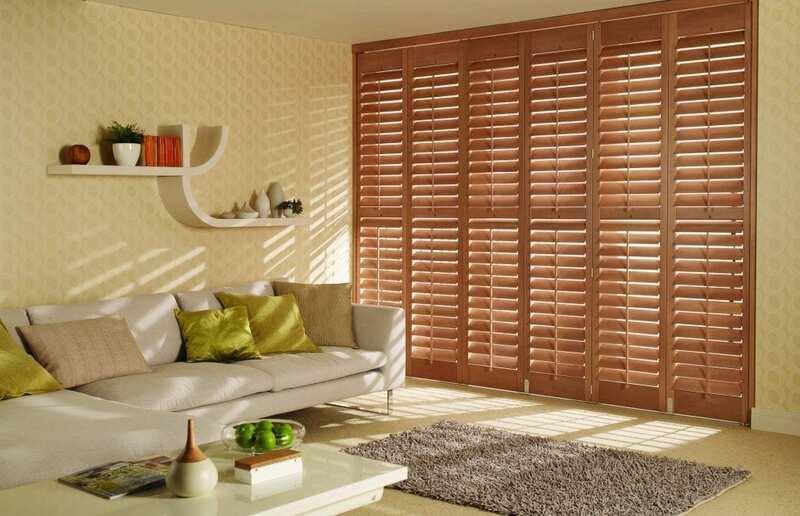 Sophistication is just a shutter away.